Adverse drug events (ADEs) are injuries that occur as a result of prescription medication. These injuries, which include overdoses, adverse drug reactions, allergic reactions, and medication errors, can be very serious and painful and could result in thousands of dollars in medical expenses. One of the most notable types of ADEs is a medication error. This type of preventable mistake can happen at any point while using medication, as well as when the medication is being prescribed, filled, administered or monitored. Preventable medication errors impact more than seven million patients and cost almost $21 billion annually across all care settings. And according to the US National Library of Medicine, ADEs and medication errors are vastly underreported, adversely affect both patients and providers, and can even harm the economy. Detailed below are the various types of medication errors and how these errors can impact patients across the country. 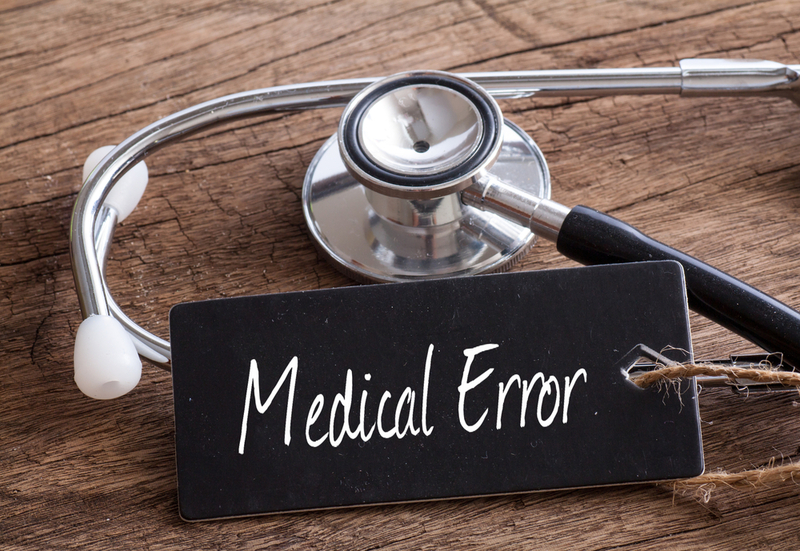 There are four different types of medication errors that can occur. The first being knowledge-based errors, that happen through the lack of knowledge of a certain medication. Action-based errors or technical errors take place when a patient unknowingly receives the wrong medication or the wrong dosage. This can happen as a result of improperly reading prescriptions or bottle labels. While memory-based errors will result from negligence regarding the medication. This could entail forgetting a patient’s allergies, a patient forgetting how often to take the medication, or forgetting to explain the side-effects to a patient before they take the medication. Lastly, rule-based errors result from a medical “rule” not being followed properly. This could include such events as an injection in the wrong part of the body, or an EMT administering a drug that is not approved by the medical director. Although it is an expectation to trust your health care professionals, it is okay to be wary and ask questions before taking any prescription medications. The majority of emergency room visits for adverse drug effects in adults can be attributed to just four types of drugs: anticoagulants, antibiotics, diabetes medications and opioids. Medication errors and ADEs have become more common in recent years among diabetic patients treated with Invokana, and other medications used to manage diabetes. These include genital infections, diabetes-related genital mycotic infections, and increased urination, among other unwanted side effects. Diabetes agents, including both secretagogues insulin, are common causes of hypoglycemic events in both inpatient and outpatient settings. It has been proven that Invokana increases a patient’s risk of bone fractures, urinary tract infections, kidney problems, and even amputations in the lower limbs. In August 2018, legal action was taken against Janssen Pharmaceuticals (owned by Johnson & Johnson) by thousands of individuals who are suffering from Fournier’s gangrene, after being prescribed Invokana. In October 2018, it was revealed that Johnson & Johnson and Janssen, the company’s subsidiary, had agreed to create a confidential settlement fund to handle the majority of the 1,000 lawsuits filed against them in the state of New Jersey. It seems likely that the companies are going to settle the lawsuits that pending in state courts in California and Pennsylvania. How Can Consumers Report Adverse Drug Effects? If you experience any serious adverse side effects, you should report them to the FDA immediately. Contrary to what many consumers may believe, physicians are not required to report an adverse reaction to the FDA. If you accrue any medical expenses such as hospital bills or through additional doctor’s office visits as a result of complications caused by a drug, you should also consider seeking legal guidance. Take the time to do research prior to beginning a regimen of a prescription drug. Additionally, consult with your doctor about dosages and report any severe symptoms you may experience immediately. Do not be afraid to speak with your doctor about any prior conditions you may have had before deciding on treatment options of a current ailment. Medication errors are preventable, and with careful consideration and consultation with your medical provider, all health care patients can get the correct treatment they need.